Are your DevOps efforts positively impacting the business? The DevOps movement continues to gather speed, and, according to many, it’s about time. After all, fostering collaboration and transparency across the entire delivery process has been shown to help everyone get great work done quickly. However, faster development of better software is not the end of the story nor is it the raison d’être for implementing DevOps in the first place. 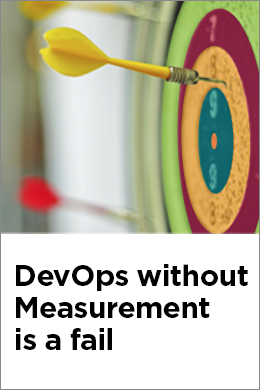 For your DevOps efforts to be a true success, you need to show more than how you resolved the conflict between operations and development to get better software results. You need to demonstrate what you do has a positive impact on the business, regardless of what you call the changes you make and the culture you build.